All Churches Make Mistakes, Why Do Ours Feel Fatal? Christ is with us when we suit up again, even though we fell flat on our face the last time we went on the field. 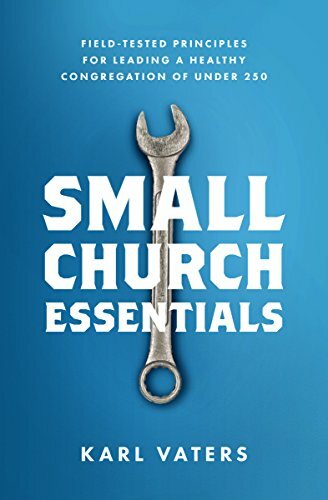 Some churches make mistakes but keep growing and moving ahead at lightning speed, while other churches make similar mistakes, but can’t seem to make even the smallest forward progress. Every pastor of every plateaued church experiences this. And every pastor of every growing church admits this. The world’s fastest-growing churches regularly make mistakes, but those mistakes don’t seem to affect their forward motion at all. Even the world’s fastest-growing churches regularly make mistakes, but those mistakes don’t seem to affect their forward motion at all. To make matters worse, some pastors don’t just make small mistakes, they seem to have massive shortcomings theologically, morally, relationally or strategically, but their ministry keeps growing like crazy. It’s like Serena Williams has lost her backswing, but she’s winning the Grand Slam anyway! I talk to pastor after pastor who feels frustrated by this phenomenon. They want to be happy for positive steps that are made in any growing ministry, but it’s hard to watch as yet another pastor is touted as the one to emulate because their church is growing like crazy while ours is staying flat numerically. Sometimes, the way we judge success in ministry reminds me of watching the post-game show after a close game. For four quarters and into overtime, two football teams battle it out, trading the lead, until one team pulls off a field goal by inches in overtime. Or a baseball team singles in a run in the 15th inning. Then, after the game, the commentators talk about why one team won and the other team lost. And they make it sound like the losing team made nothing but mistakes, while the winning team did everything right. Despite the fact that both teams were equal in every way that mattered until literally the last second, the entire game is assessed through the all-or-nothing lens of winners and losers. In reality, what did the winning team do to win? They got that last kick by inches. What did the losing team do to lose? They didn’t block that kick. Sometimes it can go like that for an entire season. One team wins a handful of nail-biter games, while another team barely loses theirs, but the first makes the playoffs, while the other goes home early. In sports, that’s just the way it is. It’s a competition and that’s how competition works. Quit whining or quit playing.